Although the City of Fresno, CA provides safe and sanitary drinking water, a residential drinking water test may still yield unexpected results. 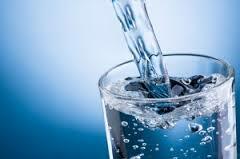 Even after municipal treatment, tap water can still contain a number of contaminants. These range from somewhat minor (calcium and iron) to relatively disconcerting (trace metals and volatile organic compounds). When left in your drinking water, these contaminants can lead to a cloudy appearance, strong smells, or unpleasant tastes. You may even notice that the coffees, teas, and food dishes that you prepare with your tap water are lower in quality as well. With the results of your test, RainSoft will be able to suggest an individualized solution for improving your drinking water. We manufacture a wide range of treatment systems and filters, which can be mixed and matched to create a custom combination. Our proprietary drinking water systems take out impurities that faucet-mounted filters can’t, and make it possible for you to finally enjoy clear, refreshing drinking water right from your kitchen sink. To schedule your complimentary in-home water hardness and drinking water test, contact RainSoft of Fresno, California today.